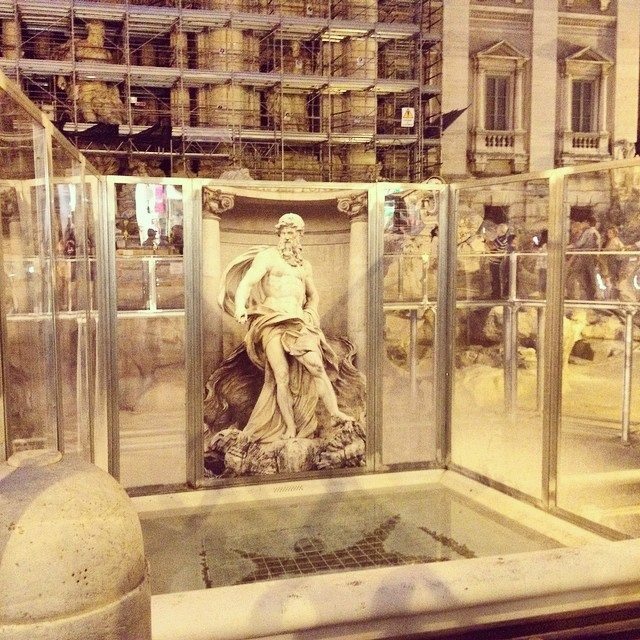 Still working on the restoration of the Trevi Fountain (sponsored by Fendi) – in the meantime you can toss a coin into this make-shift mini fountain. Wonder if it will still guarantee your return? Maybe to Rome, Ohio?